Late August always marks the time of year when my summer nostalgia goes into overdrive, usually by way of scent recollection. There's the musky smell of my family's lake house and the grassy aroma of soccer games and dirt-stained knees. And for some reason, I can always recall the minty fragrance of the economy-size bottle of Ocean Potion my mother toted on just about every family vacation. It was our cure-all for sunburns and sand rashes, and it always worked like a charm. Like many, aloe has been a staple in my life exclusively as the remedy for too much sun. It does this job so well that it's always been easy to ignore the fact that this natural healer is capable of so much more. I came to this very realization during a recent trip to Aruba, the world's number one exporter of aloe vera. On this gorgeous island, aloe is recognized as the cure-all ingredient it is, and it permeated my trip in ways I hadn't anticipated. When I arrived at the stunning Hilton Aruba, aloe-infused drinks were waiting in my hotel room. At the hotel's spa, it's the star ingredient of the service menu; a black-stone massage with aloe and rum was a sure highlight. And I had the pleasure of getting a firsthand view of what the ingredient is all about during a trip to the Aruba Aloe Factory—and ultimately learned that I had been neglecting some of its most potent healing properties. Did you know, for example, that aloe is incredibly effective as a digestive aid? Or that it can help soothe sore muscles after a workout? Or that it's actually categorized as an adaptogen? Check out more of the plant's amazing uses—and the science behind it all—below. True story: While in an airport bathroom on my way home from this very trip to Aruba, I realized that an angry rash had suddenly materialized across my chest. 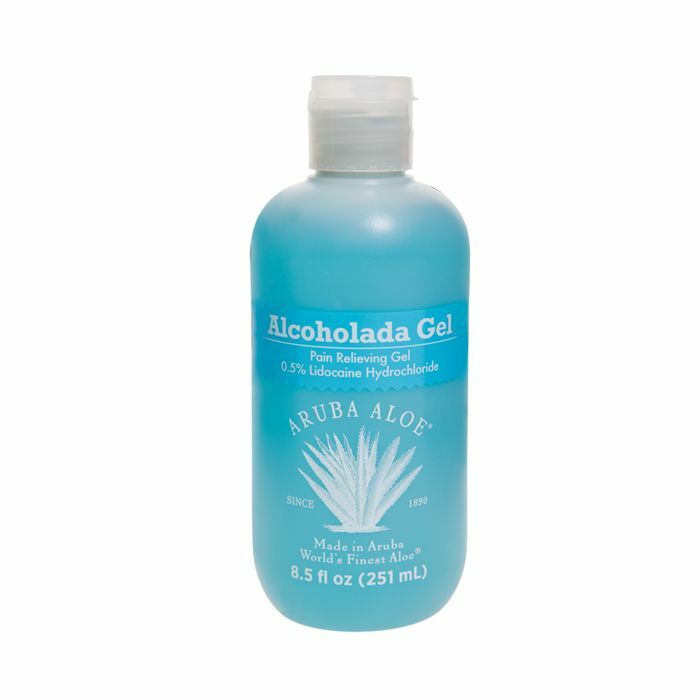 I feared a psoriasis flare-up and in a Hail Mary move pulled this aloe gel from my carry-on. It contains lidocaine, a numbing agent that eliminated the itchiness, which was a start. I kept reapplying on the entire flight home, and by the time I landed, the rash had disappeared. Perhaps it shouldn't have been that surprising considering how traditionally useful aloe is for sunburn. But it was a great reminder of how effective the plant is on a variety of other skin conditions. Research has shown aloe vera to be an effective remedy for wounds and burns, psoriasis, and even dermatitis that often appears as a side effect of cancer-related radiation treatments. The reason aloe is such an effective remedy for wound healing and skin regeneration is that it actually contains six different antiseptic agents, including salicylic acid—an ingredient commonly found in acne-fighting formulas. 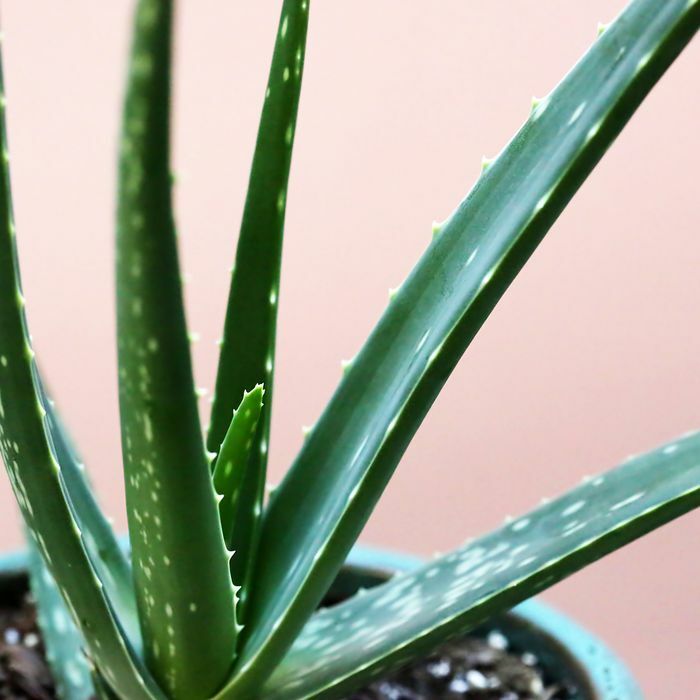 Studies show that aloe is a highly effective treatment for stubborn blemishes, so you might consider skipping pricey creams and ointments in favor of the plant's gel. Aloe is known mainly for its topical uses, but it has major medicinal properties when ingested as well—particularly if you're prone to a finicky digestive system. "It is used to soothe stomach problems and some people use it daily as a general health drink to protect against all kind of ailments," says Smeets. Most commonly, aloe is used as an effective laxative—something to keep in mind if you're experiencing minor bloating and constipation. But research shows that it can also be helpful for more serious and chronic gastrointestinal issues like IBS. Next time you log an intense workout, reach for aloe gel or an aloe-infused cream like the popular Miracle Rub above (which boasts overwhelmingly positive reviews on Amazon). Aloe has been shown to reduce cell damage and inflammation after aerobic exercise and is a promising remedy for joint pain as well. "Powerful anti–rheumatic arthritis medication is made from aloe latex, the yellow sap that comes out of the leaf," says Smeet. Studies support aloe's role as a powerful antioxidant, as it's shown to reduce free radical activity (which contributes to oxidative stress, or cell damage). Scientists have even found that aloe vera helps inhibit the production of breast and cervical cancer cells by heightening the body's immune response. Next up: After trying dozens of skincare products this month, these are our favorites.